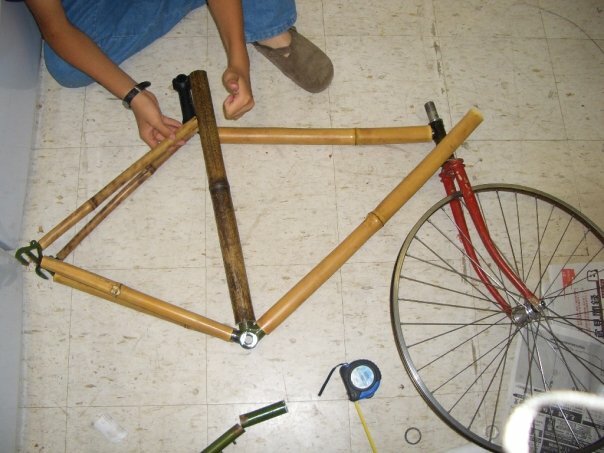 In high school I built some bamboo bikes. The second one broke and I rebuilt it. One day I was biking with my friend Chris. 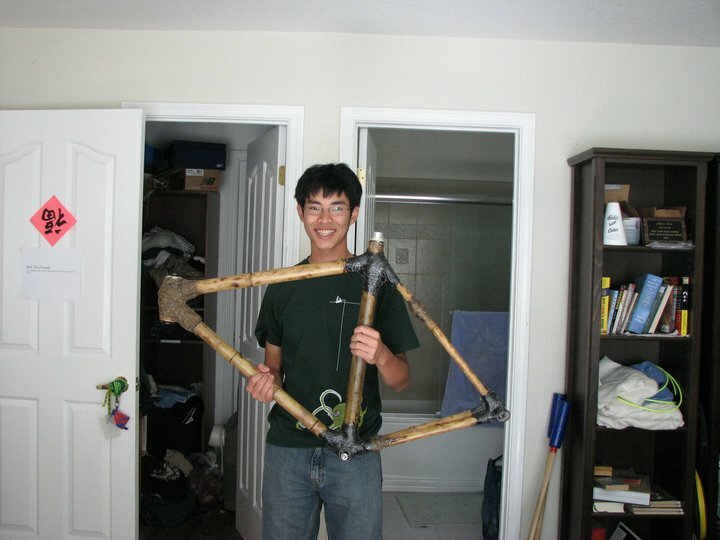 I said to him that we should build a bamboo bike in the summer. He said that that was a great idea and that we should do it. 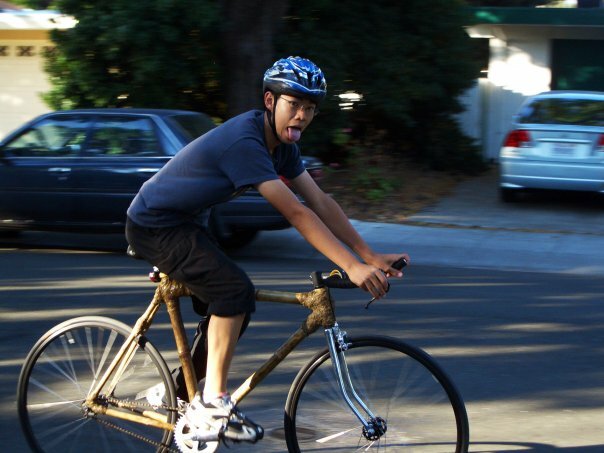 When summer started we bummed for bike parts around Palo Alto. 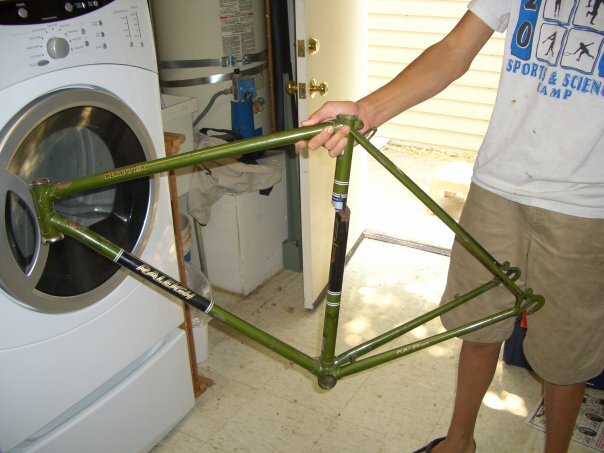 Somebody gave us an old frame that had been in a crash. We sawed the joints off. Then we went to a bamboo garden in the hills and got some bamboo. 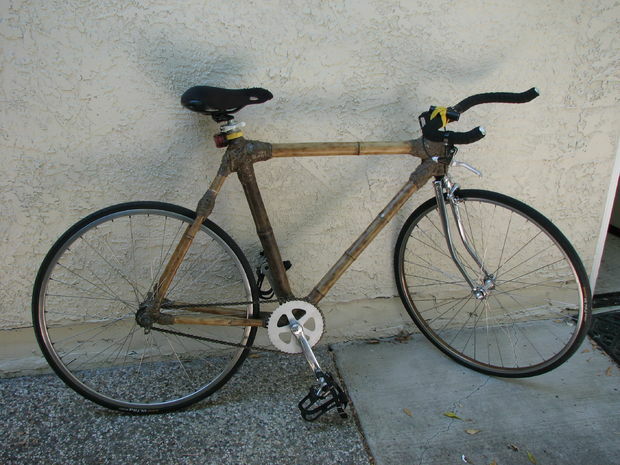 We heat-treated the bamboo, which both dries the bamboo and strengthens it. Then we cut it into appropriate lengths and fit them onto the steel joints. 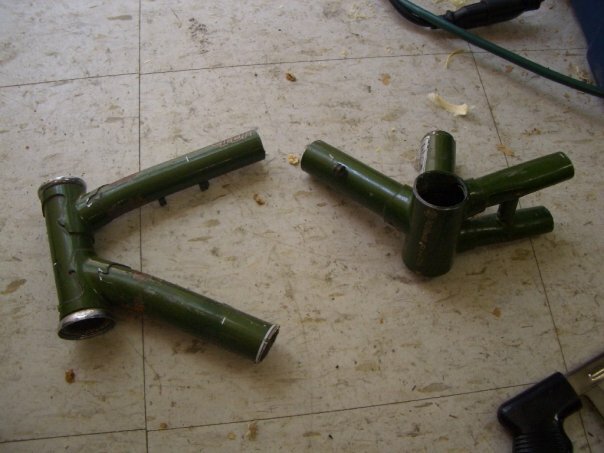 The bamboo was loose on the steel tubes, so we filled the space with expanding foam. Then we mixed up some epoxy resin, soaked twine in it, and wrapped that around the joints to strengthen them. The bottom bracket holder was very low to the ground, resulting in low ground clearance. I had to be very careful to avoid pedal strike. I resolved to use a jig the next time around. The next summer, having learned many lessons, I built another bike. I was happy enough to make an Instructable about the build process. 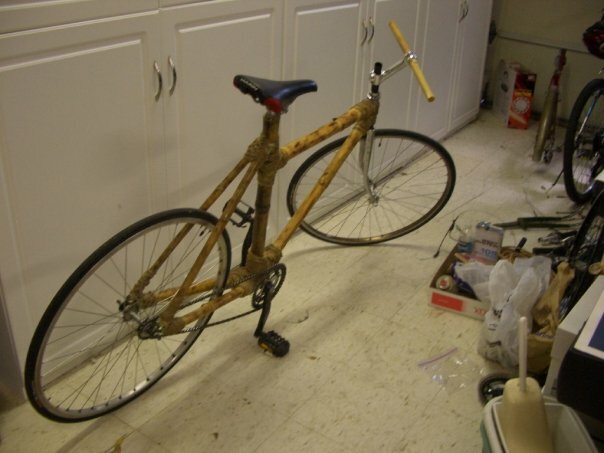 I rode this daily for several months, then one day the bottom bracket joint snapped as I was crossing a street. So I started thinking about the next one. First I tacked the joints back together. Then I built up the joints with long-fiber Bondo, a two-part putty reinforced with fiberglass. I smoothed the Bondo out with a Dremel, and started laminating the joint with carbon fiber. I found a vacuum pump, made an air filter with activated charcoal and a metal can, and bought some trash-bags. Then I was able to do some crude vacuum-bagging of the joints. As I waited for the epoxy to cure, I thought of a couple other ways I could have joined the bamboo - forming the joints with smooth Bondo, using small bamboo gussets, etc. The idea is to minimize the probability of kinks and air pockets in the fiber by making the joint as smooth as possible. I'll have to test to see which method works best.